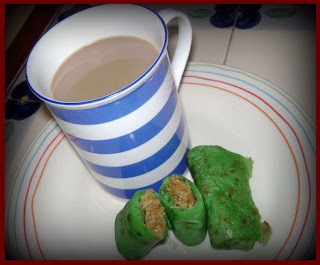 Kue Pukis is Indonesian traditional snack. 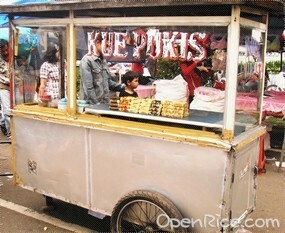 When I was little I used to buy kue pukis from the cart in front of my school. 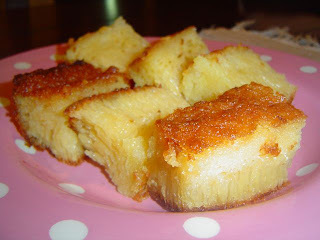 The other day I suddenly wanted to eat kue pukis, it’s easy enough to make. 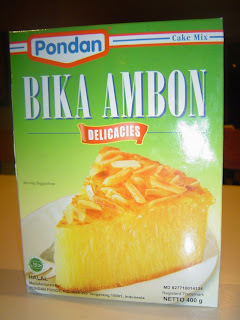 The recipe I use here is from my friend Ira Lyne and Keluarga Nugraha. Mix the instant yeast with warm water, set aside. Beat eggs and sugar until pale and thick. 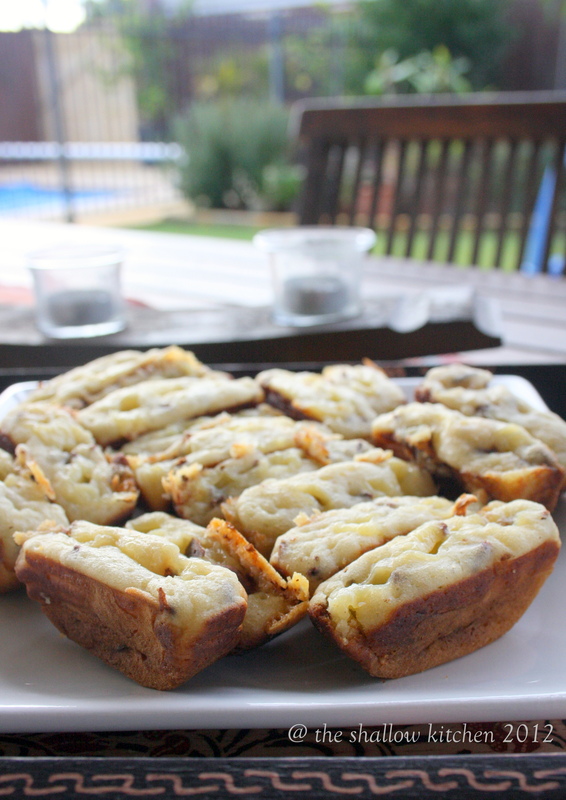 Meanwhile blend together: instant yeast, salt and flour, mix them together. 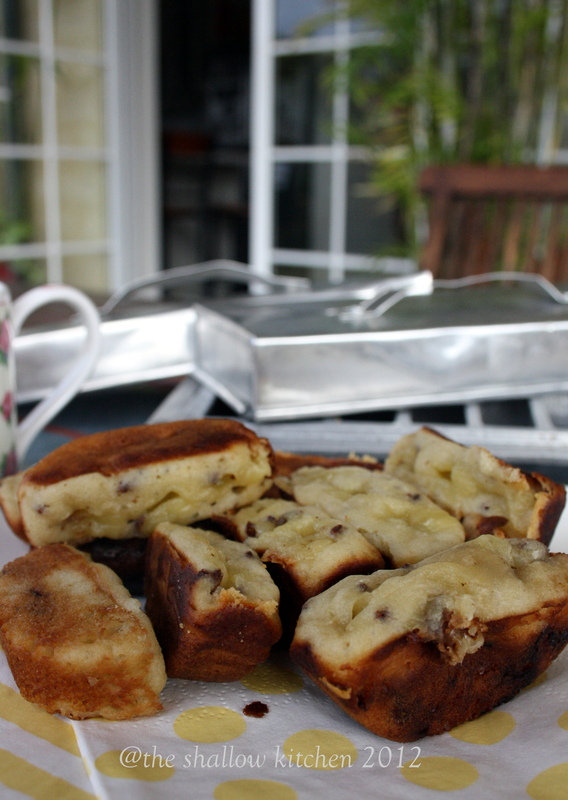 Make hole in the middle then pour over the eggs mixture, add coconut milk and stir them all. Then heat the mold, coat it with margarine. 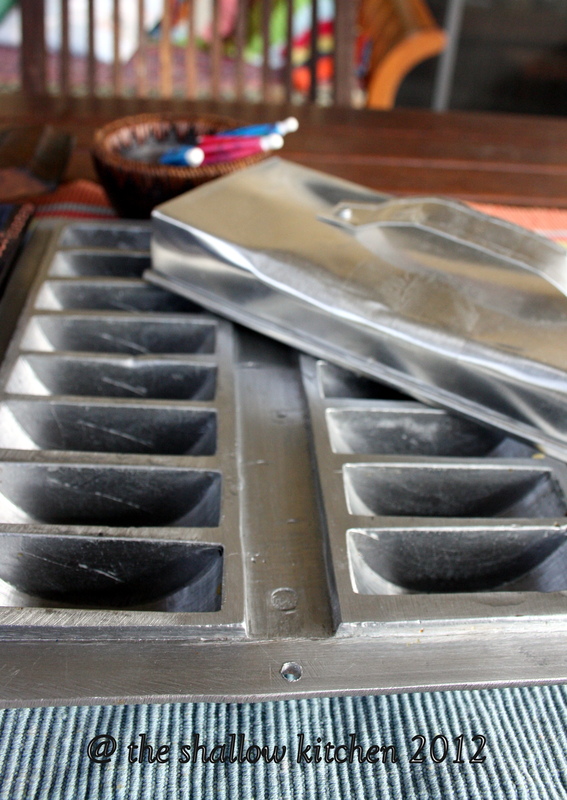 Pour mixture into the mold, not too full, about 3/4. Add cheese or chocolate sprinkles or whatever topping you like. Cook it with lid on til golden brown. I’ve got this recipe from my friend and I’m still learning how to make the crepe perfectly. Here in the photo there are couple that are a bit burn. It’s best if you have the gas stove rather than electric one. Put the flour in a big bowl add salt and water, stir until the mixture is thinner enough. Add more water if necessary. Drop the pandan coloring, stirring. Heat oil in frying pan, pour the mixture and fry until both side is cook, similar like you make a crepe. Heat oil in saucepan, cook coconut and palm sugar until browned enough but not burnt. 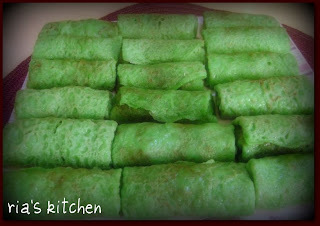 Add the pandan leaves. Let it cool and set aside. Fill the crepe with coconut and roll in.